Soil pH is a precision agriculture practice that can provide positive economic and environmental impacts. 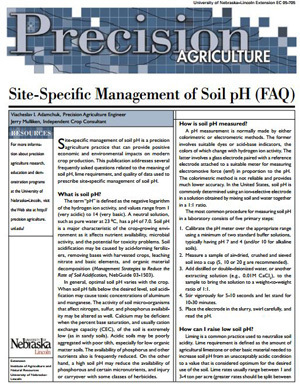 Questions related to the meaning of soil pH, lime requirement and quality of data used to prescribe site-specific management of soil pH are addressed. This publication is part of a series on precision agriculture.